If the skip is unable to be dropped on a driveway or private property you might need to consider the road. 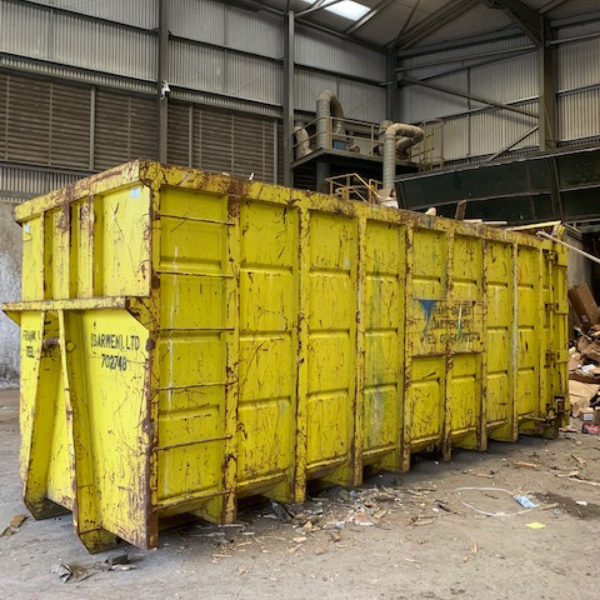 A permit is required for a skip on a public highway and we can get this the same day.The skip will also require a light if on the road overnight. Please remember that if you need to create space on the road then grass verges are usually not able to take skips. If you know you will need another skip exchange or would like to make certain of a collection date, please try to give us at least 24 hours notice or tell us when ordering. We pride ourselves on our excellent same day service. 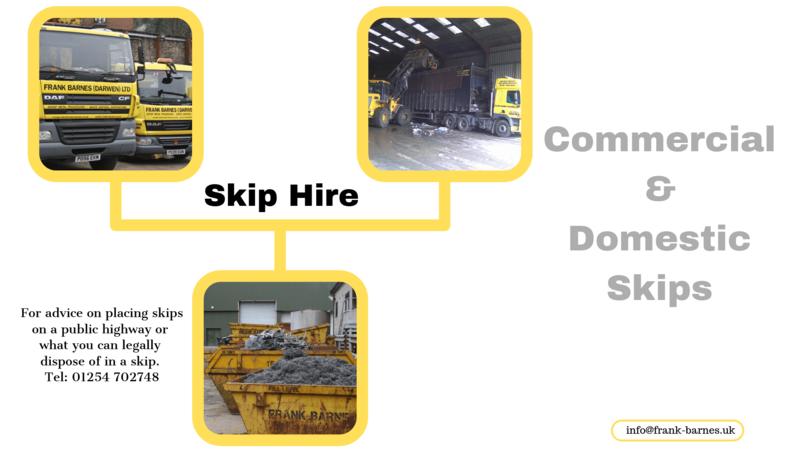 We offer skips from 2 yard up to 16 yard for domestic waste. 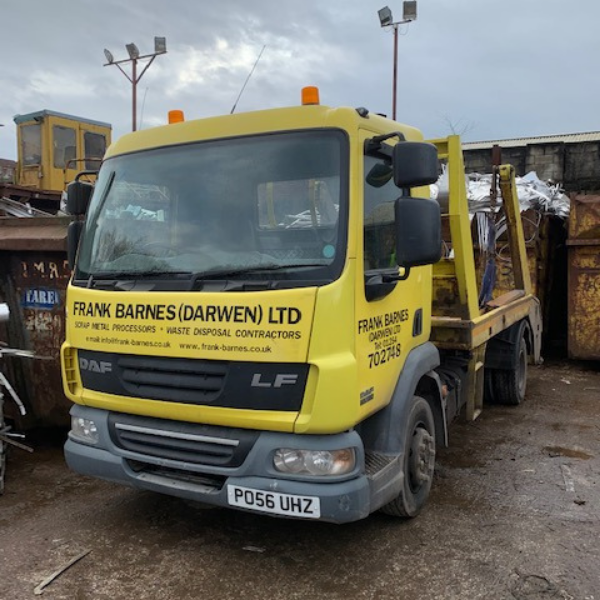 If unsure about sizes of skips or the kind of things that can go in the skip then please ask one of our staff for advice. A same day delivery and collection service is available on all size of containers. We have a selection of lidded and walk in skips available. 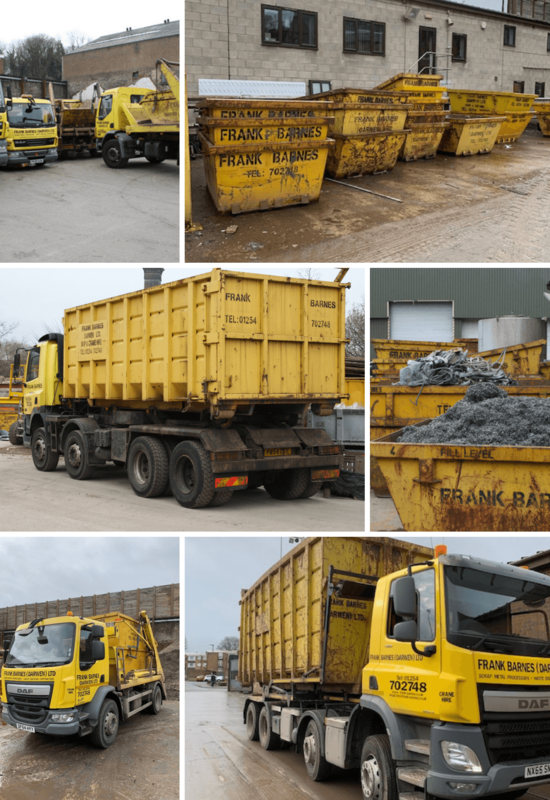 From its licensed waste transfer operation, Frank Barnes offers a full range of over 400 skips & Roll On Roll Off containers. Sizes range from 8 cu yard builder skips to 52 cu yard giant Roll On Roll Off for light industrial waste, also compactors, site safes and lidded containers. The company also offers free site surveys to customers. A same day delivery and collection service is available on all size containers. We also offer lidded containers for Asbestos. We guarantee that 100% of the waste that goes through our transfer station is recycled or goes as Waste for Energy.